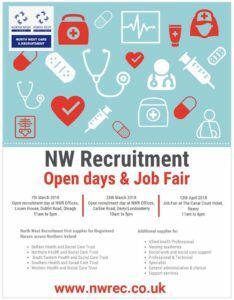 NW Recruitment is a division of NW Healthcare Group based at North West Independent Hospital, Ballykelly. The group employs almost 500 people in its nursing agency, domiciliary care and hospital divisions. Copyright 2019 North West Healtcare Group. All rights reserved.